Today as I write this, May 22nd 2018, it is officially Bitcoin Pizza Day. This year it marks exactly 8 years since one of the first consumer purchases was made with Bitcoin. If you hadn't already guessed from the title of this post, that purchase was for pizza. Actually it was two pizzas from Papa Johns if we are being picky. Two pizzas were bought and paid for at the bargain price of 10,000 bitcoin. Wait, what?! Back in May 2010 a user on the Bitcoin Talk forums offered to buy two pizzas for 10,000 bitcoin. The market was so under-developed at the time that it actually took four days from announcing the request on May 18th 2010 to actually getting someone to fulfil the pizza side of the bargain on May 22nd 2010. Each individual bitcoin at the time was valued at less than 1 cent each and another user on the forums had previously tried to sell 10,000 bitcoin (unsuccessfully) a couple of months before for $50. Which of course brings up the question of just how much would those bitcoin pizzas would be worth today? Well at 5,000 bitcoin per pizza, right now each would cost ~$42,464,250 USD bringing the total to just under $85 Million USD! If the pizza seller is still holding on to those bitcoins, it is probably one of the best transactions they will make in their life. Statistics like this go to show just how fast the market for Bitcoin has grown over the past few years even if it isn't always smooth sailing. Looking back through time this single transaction has been used to create the “Bitcoin Pizza Index” to track the growth in the market value of a bitcoin. Every year cult followers of the cryptocurrency space celebrate Bitcoin Pizza Day on May 22nd. 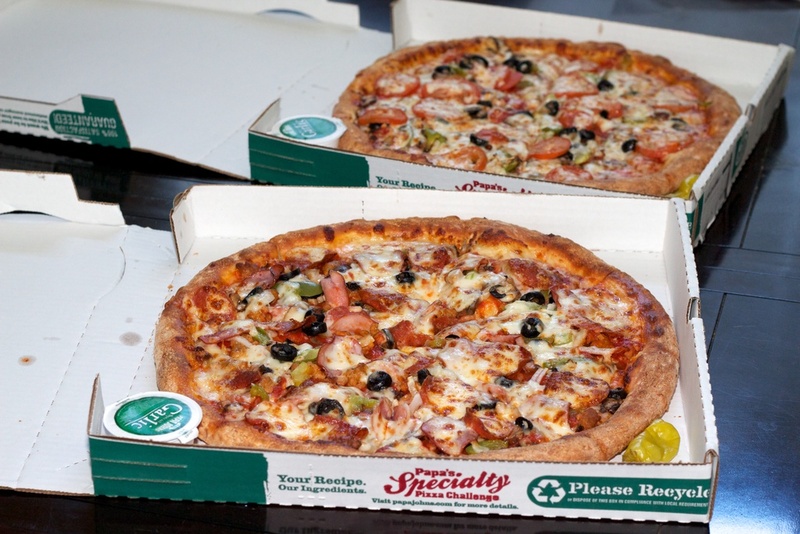 10,000 Bitcoins in May 2012 = $50,700 USD The first bitcoin pizza day “loss”. 10,000 Bitcoins in May 2015 = $2,353,200 USD Potentially a great year for Pizza investors! How Many Pizzas For 10,000 Bitcoin? Note: The following is based on an assumed price of $41 USD for two pizzas as we don't have accurate exchange data for USD to Pizza conversion. 10,000 Bitcoins in May 2010 = 2 ? 10,000 Bitcoins in May 2011 = 1,578 ? 10,000 Bitcoins in May 2012 = 1,236 ? 10,000 Bitcoins in May 2013 = 29,973 ? 10,000 Bitcoins in May 2014 = 120,012 ? 10,000 Bitcoins in May 2015 = 57,395 ?The bitcoin crowd may have been hungry this year! 10,000 Bitcoins in May 2016 = 108,102 ? 10,000 Bitcoins in May 2017 = 498,339 ? 10,000 Bitcoins in May 2018 = 2,071,426 ? We may see our first Pizza millionaires this year. Are You Celebrating Bitcoin Pizza Day 2018? If you're first name is Satoshi then you may choose to celebrate with 2 million pizzas but that isn't the only option. Luckily you don't need 10,0000 bitcoin to celebrate Bitcoin Pizza day in 2018 with a slice of your own; two pizzas should only cost you 0.00487640 bitcoin in 2018. That is a saving of 99.999951236% savings compared to just 8 years ago. You can probably afford to treat yourself… Or can you? ?